Do you dread the next time you have to clip your cat’s claws? Then chances are you may be using the wrong nail clippers. 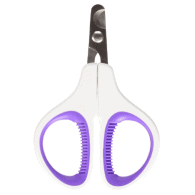 Choosing the best cat nail clippers is imperative for a smooth cat nail clipping experience! Read more below for our full best cat nail clippers review. Why Trim Your Cat’s Claws? Choosing the right pair of cat nail clippers can make all the difference when trimming your cat’s nails. 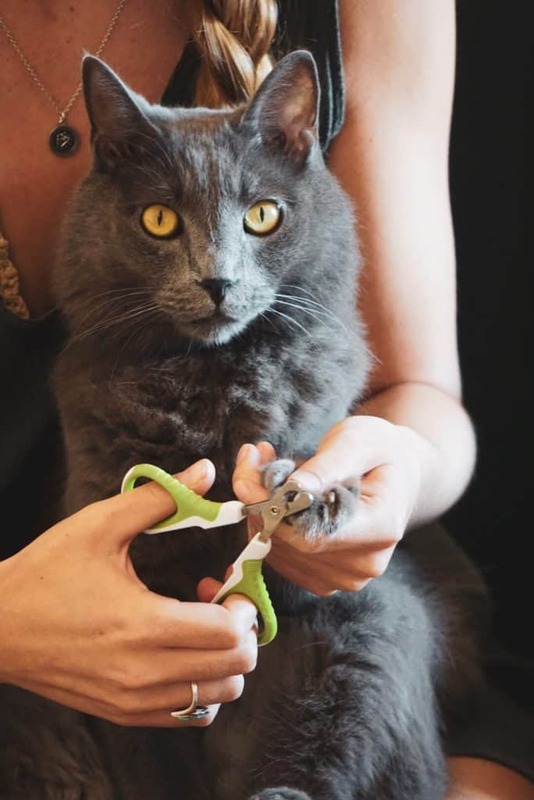 There are specific techniques and special clippers designed to cut cat’s claws with ease and efficiency. Q1. Can you clip your cat’s nails using human clippers? We get asked this all the time. And the answer is simple: yes you can, but it’s dangerous and inefficient. Human nail clippers will crack and split your cat’s claws because of the shape and design. When you cut your cat’s nails, the idea is to do it fast and efficient. 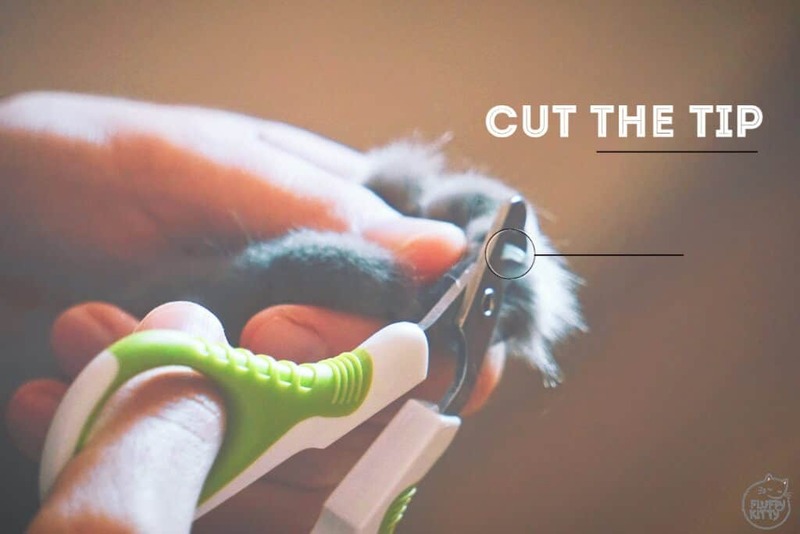 Human clippers also add more pressure to the cat’s nail during clipping which creates an uncomfortable experience for your cat. Q2. Do you have to clip cat’s nails? Yes and no. It depends on your cat and your situation. However, generally speaking, it is recommended to clip cat’s nails once every two weeks to keep them healthy. Not only do trimmed cat claws keep your other pets (and small children) safe, it will protect your furniture. But what about outdoor cats? Do you need to clip an outdoor cat’s nails? The answer is also tricky. On the one hand, cats with sharp claws can catch and kill prey easier than with short nails. As you might know, cats kill for fun rather than for food, so outdoor cats who prey on local wildlife can severely and negatively impact the environment in which they live. Now, let’s check out the rest of our best cat nail clippers review for 2019. So, if you are searching for the best pair of cat nail trimmers, then you’ve come to the right place. Check out the best cat nail clippers review below. Don’t have time to read the entire article? We’ve got you covered! 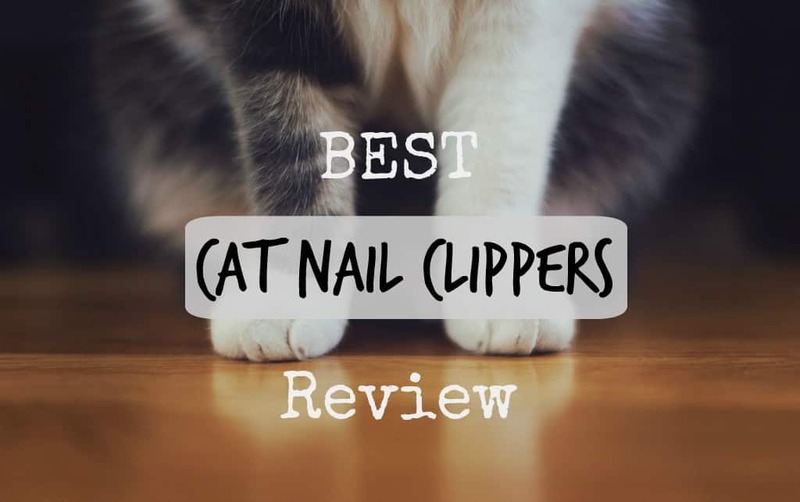 Here is a quick overview of our favorites but you can read our best cat nail clippers review if you scroll on down. It is highly recommended to trim your cat’s nails about every 10 – 14 days. Keeping them properly trimmed is very vital to your cat’s overall health and well-being, especially if they are full-time indoor cats. Trimmed cat claws also protect you, your family (perhaps children), guests, wildlife, and your household furniture! As you can see, there are several benefits to cutting your cat’s claws. Please do not ever consider getting your cat declawed as this results in serious behavioral, psychological, and health issues. Clipping your cat’s nails is easy if done correctly and should only take a couple of minutes to complete. Remember, cutting your cat’s claws should always be a peaceful and calm moment with your cat. The number one rule when trimming your cat’s nails is to never cut to the quick. The quick is the slightly pink-colored part of their nail where all the nerves and blood vessels are. It’s very important to trim your cat’s claws carefully and gently in order to avoid cutting into the quick. Imagine how painful it is when you cut too much off your nail, and it bleeds. Try not to make the same mistake while trimming your cat’s nails. The white/clear part of the nail is the only thing that should be cut. It’s always better to trim off smaller portions than larger to avoid this problem. Clip only the very pointy bit of your cat’s nail to start with. If you accidentally cut too far back and it bleeds (accidents do happen) always have your styptic powder handy. My family always used Kwik Stop, and we had cats, dogs, and parrots. It works like a charm to stop the bleeding. 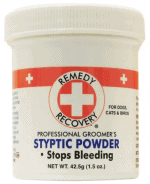 Keep your styptic powder nearby for easy grabs, this will clog the blood and stop the wound from bleeding. If you do cut to the quick while trimming your cat’s claws, tell your kitty you are sorry and take a rain check for proceeding in trimming the claws. Also, make sure the bleeding has properly stopped. Watch him/her afterward to make sure s/he does not lick the injury. It should heal quickly. 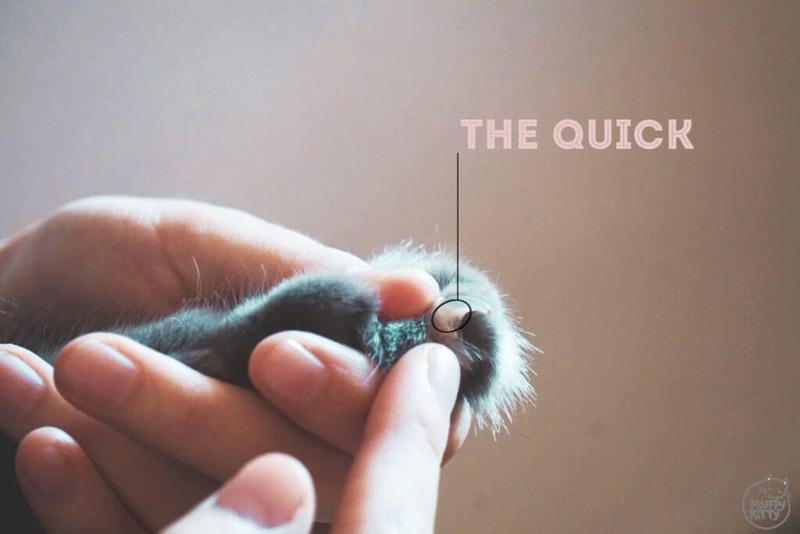 Bottom line, if you are unsure where your cat’s quick is do not proceed in clipping more than the very tips to remove the claw’s sharpness. Trimming your cat’s nails without hassle results from you training your cat/kitten to get used to the sight and sound of the nail clippers. Most vets and pet owners recommend introducing the clippers at a young age with the aid of a piece of uncooked spaghetti and a few treats. In most cases, your cat will not need to go through this whole procedure if s/he behaves quite calmly. If your cat is hostile when it’s clipping time, then make this process as gentle and slow as possible for your cat to get used to it. 1. Practice sitting your cat on your lap with nail clippers (and a treat or two). 2. Take kitties paw and press gently on top and bottom to extend the claws. Observe your cats reaction. 3. If kitty is calm, proceed with clipping one nail, then two, three, etc. If s/he retreats the paw do not squeeze or try and hold it in place, this will only add to his/her caution. Have a cat that squirms? Be patient and start over at a later time. If it is tough for you to cut your cat’s claws, then remember it’s okay to do one paw per day. It’s better to keep the trimming session calm and short anyway. You do not want your cat to resent you if you try to force clipping his/her claws! If your cat needs more training before trimming, try these training methods below. 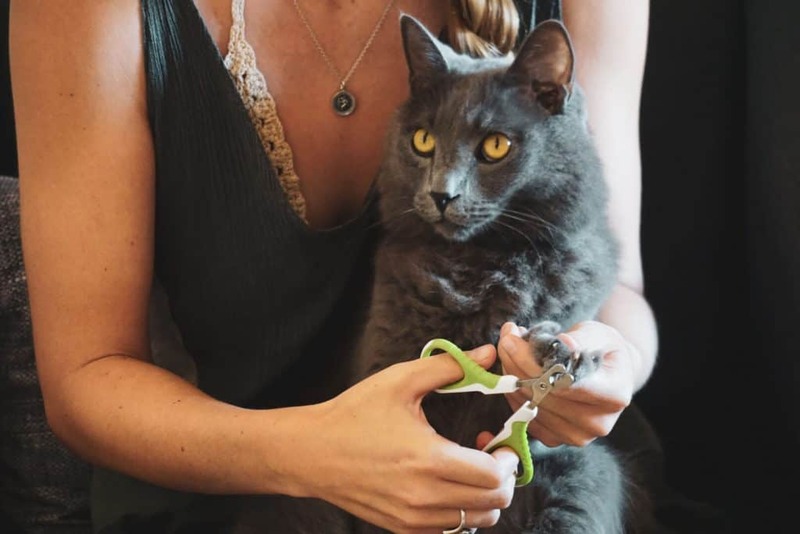 If you notice your cat’s behavior is quite hostile when hearing the clippers on his claws then try this method: Instead of clipping his/her nail, try using an uncooked piece of spaghetti. Begin this procedure with the same steps as above. However, when you gently press your cat’s pad and toes to extend the claws, clip a portion of the uncooked spaghetti off at the same time you make the claws extend. This results in a similar sound as if you were cutting the nail itself. Reward good, calm behavior with treats to associate trimming time with yummy food. They love that. If you’re lucky like we were, then your cat will already be used to you holding his paws, sitting on your lap, and you loving all over him. The first time I clipped Yoda’s nails, he was curious about the clippers. He agitated slightly from the sound and pressure on his nail at first. I upgraded to nail clippers suited for cats and the next time I trimmed them he didn’t even notice. It makes a difference to invest in a good pair of cat nail clippers. Just be careful not to lose them! A good quality pair of cat nail clippers will make all the difference when trimming your cat’s claws. See our selection of the best cat nail clippers below. Believe it or not, the market is teeming with cat nail clippers. While there are dozens to choose from, there are a few that really stand out. Here’s what we think of the top four best cat nail clippers (see more below). Shiny Pet is rising to the top as one of the best cat nail clippers because of its simple yet ergonomic design. After our review, we can testify to their handiness and quality. 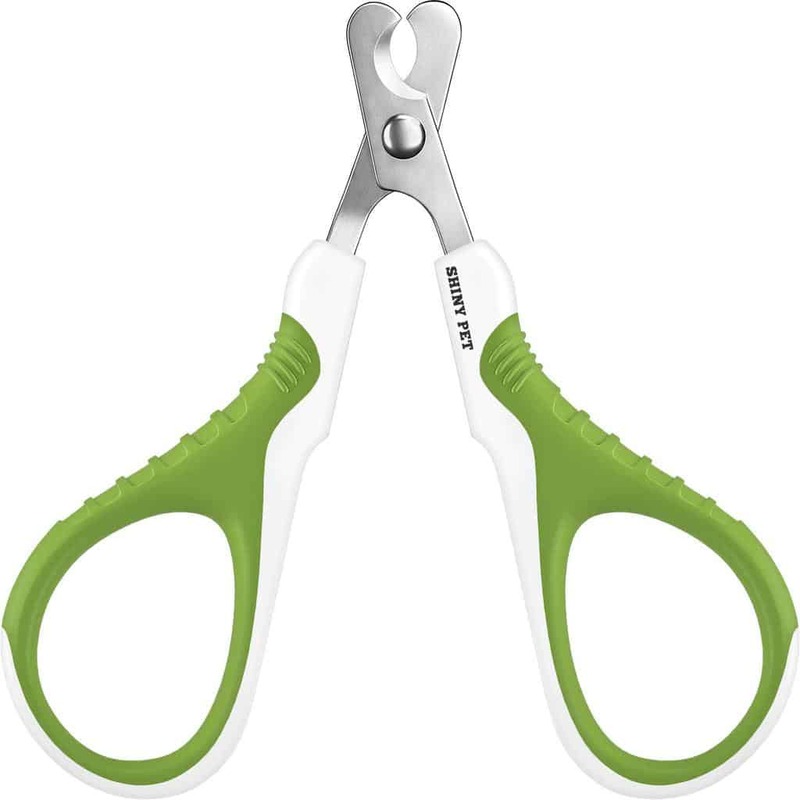 These are great cat nail clippers for any cat owner who just wants to get the job done safely and efficiently. As you can see in our home video, Yoda and I had a pleasant experience using these clippers during our nail trimming session. Our other top selection goes to the Safari Professional Stainless Steel Trimmer. A #1 bestseller for cat and dog claw care and we don’t disagree. It basically encompasses everything you need for a larger cat (or bigger dog) nail trimmer. Inexpensive, a great buy for your buck! 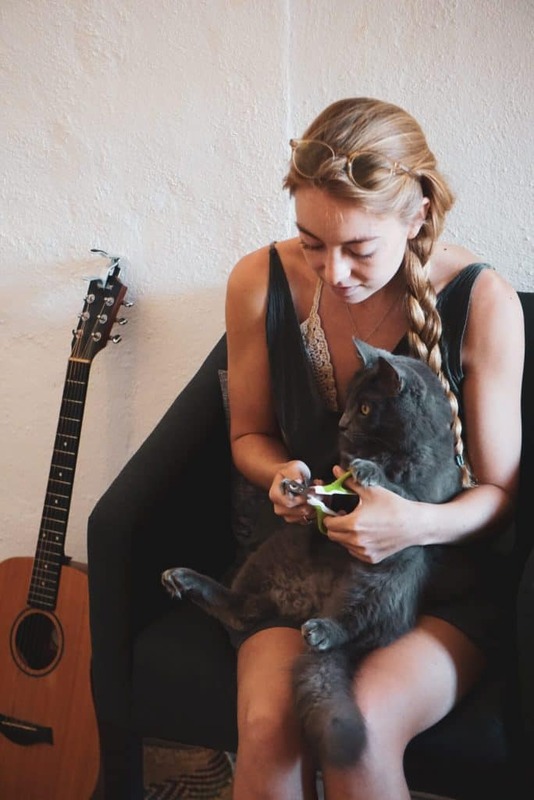 Used by cat and dog owners alike, this nail trimmer is a winner. The only thing that we find holding us back with these clippers is that they are a little bigger than the Shiny Pet clippers. When cutting your cat’s nails, you want to be gentle yet quick and efficient. We have used these clippers before and they work well. However, if your cat is restless while on your lap, you may notice that these can get in the way a little if you want to go in quickly and get the job done. 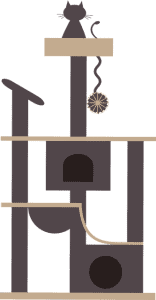 I hesitated whether or not to put this next choice in first place. It is also a #1 bestseller in the Small Animal Health Supplies category. The super-efficient Pet Clippers by Whisker Wishes is of great quality and will not disappoint you. We love the simplicity and these cat nail clippers exemplify that to a T. Their design is simple yet efficient. You really can’t go wrong with a pair of these small, handy cat nail clippers. We love the size of these clippers, too. The small size makes it handy for me to get cut Yoda’s claws even amidst his fluffy belly and furry toes. It’s important to be able to see precisely what you’re cutting, and these clippers help with just that. No fancy buttons or springs, just simple and sharp blades to trim your cat’s nails properly. 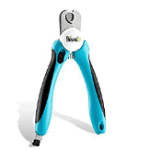 Last, but not least is the Boshel pet nail clippers which are highly suitable for both dogs and cats. These cat nail trimmers by Boshel is a great product if you’re looking for something a little more high-tech. The cat nail trimmers by Boshel advertise that it’s used mainly for dogs, but do not that let fool you. Yes, the design is for cats, too, and some people only use it for that purpose. Overall, an easy buy as the product is reliable and long-lasting. It’s going to be a tough decision between these three great products! Why Buy Cat Nail Clippers Online? It’s important not to get distracted by fancy marketing when purchasing nail clippers for cats. For example, the Boshel clippers feature a unique nail filer that is embedded inside the handle. I don’t think we have ever filed Yoda’s nails after clipping, and they have always remained healthy. But, that doesn’t mean the nail filer feature couldn’t be of use to YOU. If your cat really hates getting its nails trimmed, then filing might be the second best option. Above all else, the most important is to find simple clippers that have reliable, sharp blades. How do you know if they are sharp and reliable? By searching online. Cat nail clippers are easily available in large commercial stores like Petco and Wal-Mart but beware of buying cheap nail clippers at these places. Oftentimes, these cheap alternatives only last a couple of months before going rusty. I know because we have already done it before when we urgently needed cat nail clippers and lost our good pair during our move to Mexico. You do not want to waste money on pet nail trimmers that last only a few months. Instead, filter through comments online to get a sense of the clippers reliability and strength before buying. Why Review Only Four Best Cat Nail Clippers? The most important for us is that you have the best up-to-date information about cat nail clippers. These four choices have been carefully selected by both Paul and myself (and Yoda). These cat nail clippers are tested and approved. If you think a pair of cat nail trimmers deserves a spot in our review, just drop us a comment below or send us an email. Getting the best pair of cat nail clippers is important, yes, but so is providing other cat furniture accessories that aid in keeping your cat’s claws healthy throughout their life. To optimize your cat’s nail health, invest in a cat scratching post or cat activity tree. The sisal or cardboard material often on these cat items help your cat shed their nail sheaths, which is an important aspect in keeping them healthy. Secondly, you’ll want to just observe your cat’s nails from time to time to check they are free of bacteria or fungus. This came to our attention recently, when Yoda had a nail fungus from excess humidity (from living in Mexico). The nail smelled bad and had lots of trapped bacteria under his nail, which required a spray medication and daily cleaning. Finally, caring for your cat’s nails is fairly easily with regular upkeep. Don’t forget to give plenty of treats to reward your cat’s good behavior! 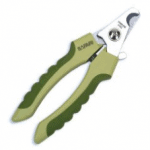 We are certain that any of these four cat claw clippers will greatly enhance your trimming experience with your cat. Remember to always be gentle and cautious when cutting your cat’s (or dogs) claws. Thank you so much for reading! 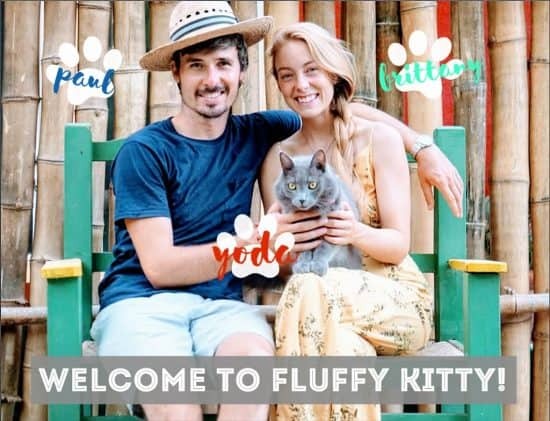 Find and follow us – Fluffy Kitty – on various social media platforms! Before you go, check out some of our other articles. Read about how to calm your cat down, or find the purrfect brush for your kitty!